Decorating in white and blue: Mediterranean style for the home. Simplicity is the key to aesthetic success in spaces inspired by this style, guaranteeing the kind of summer we spend the rest of the year dreaming of. 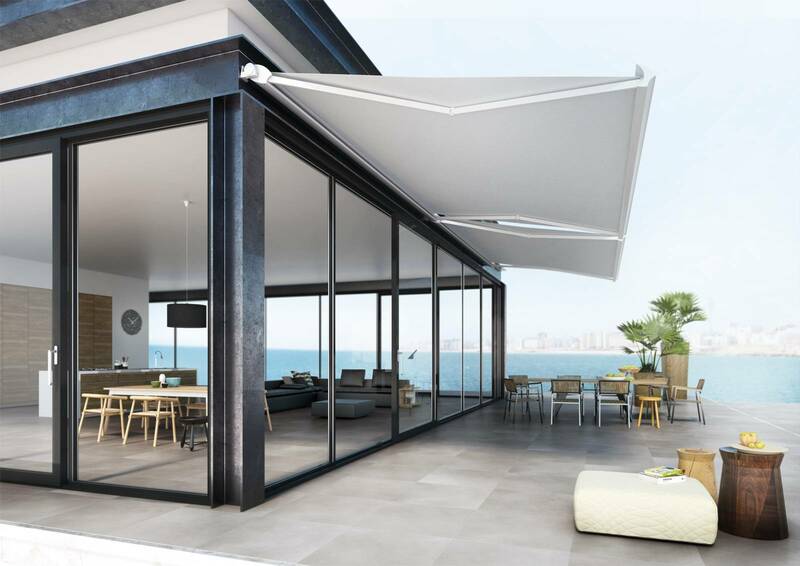 If you’re looking to add a Mediterranean air to your home, just follow these inspiring tips. White provides a minimalist sense of continuity for these interiors, whilst blue, with its intrinsically Mediterranean essence, is the colour of art, defined by its own unique character. In these spaces it provides a setting, creating a frame for your home rich in character and a contemporary air. 1. Shades of blue attract the light whilst white projects it. That’s why it is essential to find the right balance between the two and design a space that skilfully combines both tones. 2. Consider the focal points of light when choosing where to add shades of blue or darker tones. You must also remember that white is the principal colour and will therefore take on a whole new dimension. It will enhance the sense of spaciousness, whilst the use of blue will act as a frame for the new dimensions. 3. The décor should be simple but never understated. Character is the key. 4. Rule out the incidental. 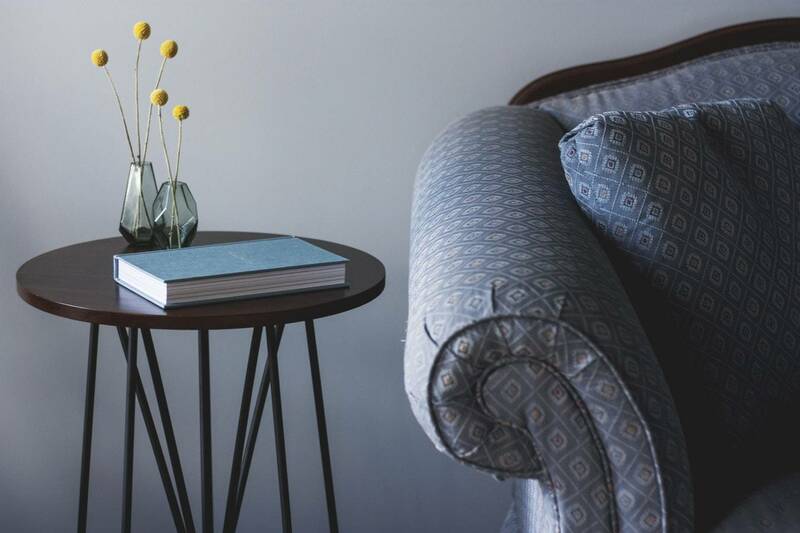 A restful atmosphere is what matters here, and this can only be achieved by eliminating any unnecessary objects that could cause possible distractions. 6. And last but not least, mix modern furniture with items in a more retro style, adding a contemporary and trendy touch to classic white for greater light and a more maritime spirit. How does this style work in exteriors? Outdoors, the Mediterranean style rules supreme. It doesn’t take much to create a charming and peaceful area. 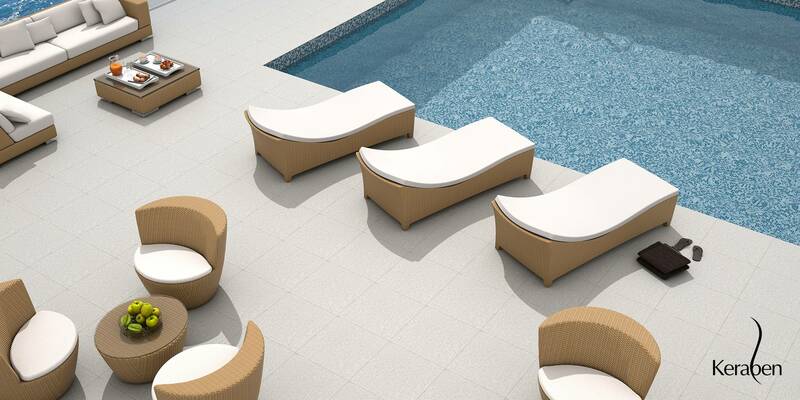 This space featuring Keraben brand products boasts a simple design that places the pool and the sea at the centre of attention. When it comes to terraces, this colour-based decorative trend should be all about white. 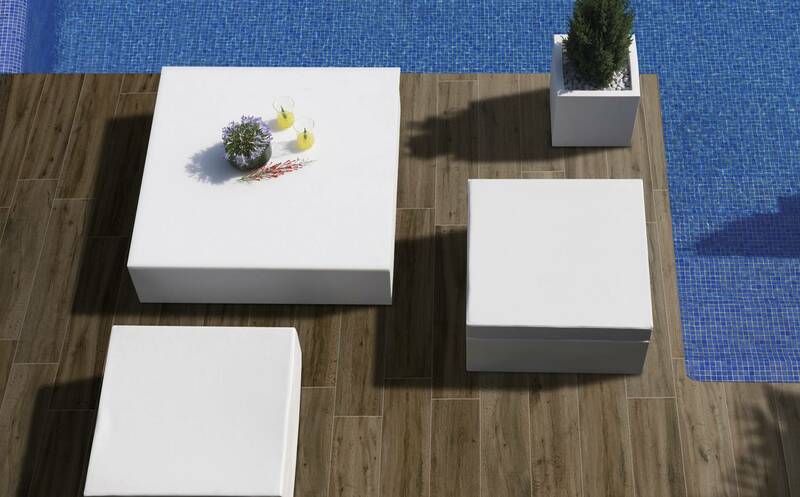 Natural tones are an essential part of this style, as in this swimming pool featuring the Portobello collection by Keraben, where the use of wood-effect outdoor ceramic tiles (link) is set off to perfection by the blue tones of the swimming pool and brilliant white furniture. 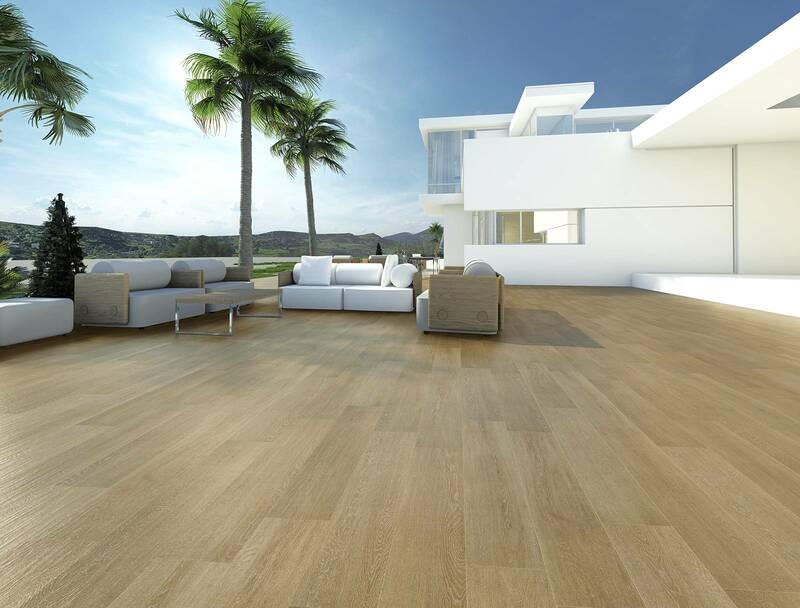 When it comes to decorating your terrace, wood, plants, whites and blues (water) make for a winning team. The same play on wood and white occurs in this space featuring the Savia collection by Keraben - Keraben Group where the key is the basic construction colour (streamlined, clean-cut architectural lines in white), which matches part of the furniture. Right on point.